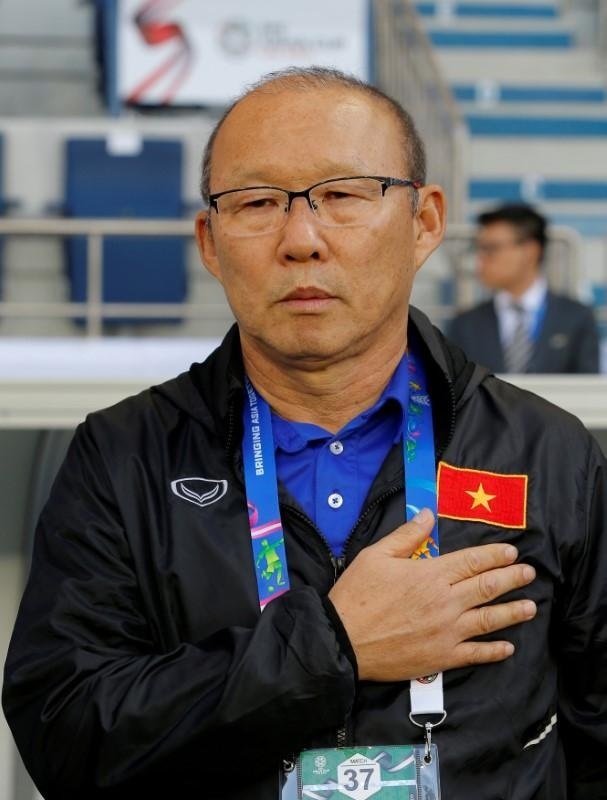 ABU DHABI -- Park Hang-seo has displayed something of a Midas touch in his 16 months as coach of Vietnam and on Thursday he has a chance to deliver one of the most stunning upsets in Asian Cup history when his side take on Japan in the quarter-finals. Japan are blue bloods of Asian football — four-times continental champions, regulars at the World Cup finals with a squad stock-full of players who have seen action in top leagues around the world. Against such pedigree in Dubai on Thursday, South Korean Park will send out a raw team of youngsters who have captivated the proud Southeast Asian nation with runs deep into three regional and age group tournaments over the last year. Park recognises that Japan will present a whole different level of opposition for his players, most teenagers or in their early twenties, at Al Maktoum Stadium. “The Japanese players are experienced and are individually skilful so we have to do our best and prepare perfectly to take the challenge to Japan tomorrow,” Park told reporters on Wednesday. The Golden Dragons have showed that fight already at the Asian Cup, coming through a tough group also featuring former champions Iran and Iraq before rallying from a goal down to beat in-form Jordan on penalties in the last 16. Nguyen Trong Hoang and Nguyen Quang Hai have proved themselves to be players of real quality and Japan will be wise not to give them any space in midfield. The Samurai Blue, who won their last title in 2011, would be the first to admit that they have not really fired in the United Arab Emirates, winning all four of their matches by a single goal. Coach Hajime Moriyasu had introduced a more attacking style when he took over after Japan’s run to the last 16 at last year’s World Cup but at the Asian Cup they have reverted to a more conservative approach. “We’re here and we aim to win the title but the team needs some development because we have some new players who are lacking experience,” Moriyasu said. Moriyasu will be without suspended Newcastle United striker Yoshinori Muto but otherwise has a full squad to choose from for a match which will decide who meets Iran or China in the semi-finals.